Your sympathy and remembrance arrangements are created as a tribute to the person they are honoring. 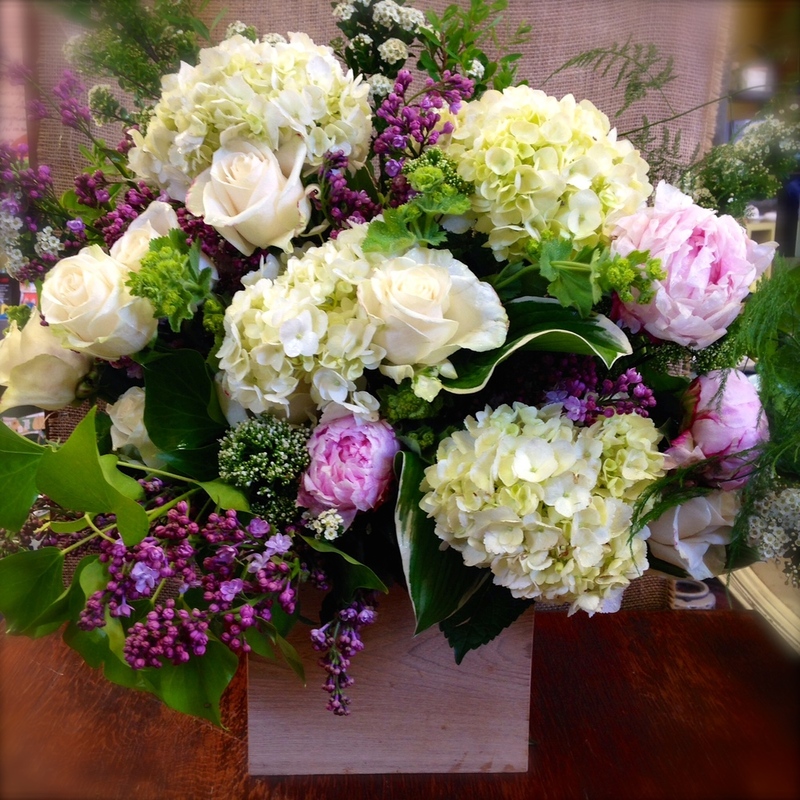 Each arrangement, whether basket, vase or box conveys your respect and love. 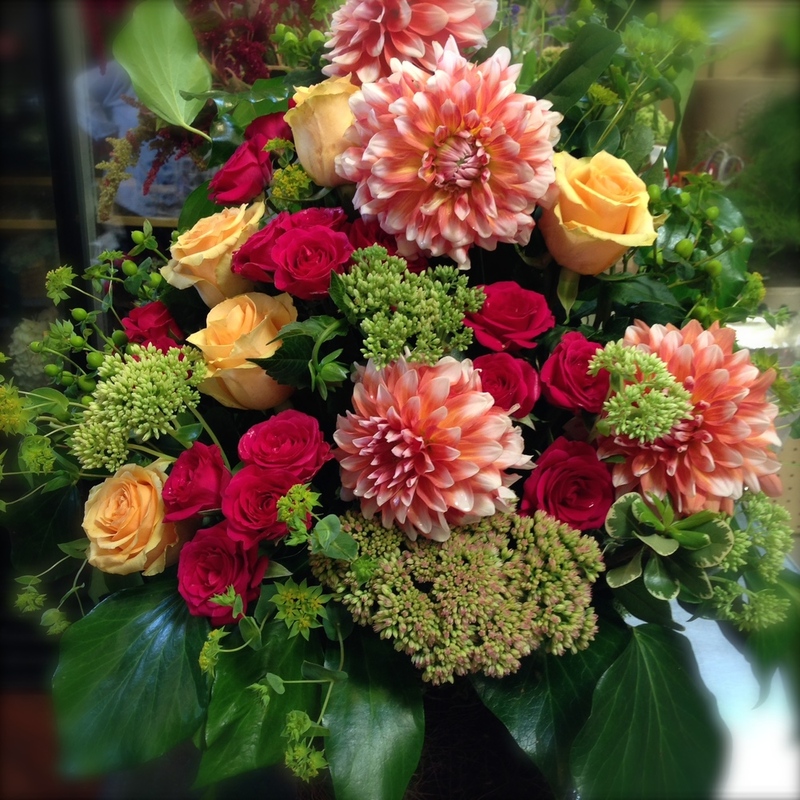 We do our best to honor special requests, whether favorite flowers or colors. We deliver to many funeral homes and places of worship, as well as to loved ones at home. The photos below are samples to give you an idea of some of the styles, types of containers and sizes that we offer. For more detailed information please see the bottom of the page. Please note: as of January 2019 we are no longer using floral foam or the baskets and foam forms which require its use. Our lush sympathy style will still look the same! Thank you for helping us be environmentally friendly. We know it can be difficult to discuss logistics on the phone when grieving, and we hope that providing some general information can make your call a bit easier. We will do our best to honor last minute requests based on the policies of the funeral home or service site. 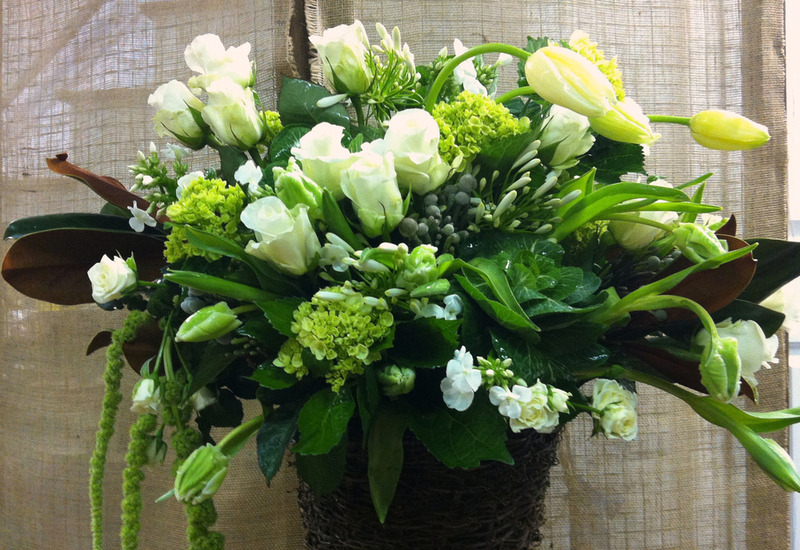 Sympathy flowers to a funeral home or service are typically presented in a basket, box or vase. Flowers should be delivered to the funeral home two or more hours before the service begins. Price is related to the size of the arrangement and the flowers used. Casket sprays are usually arranged for by a family member and are placed by the funeral director or the florist on top of the casket. They are richly textured, and can include ribbons or even small items of remembrance. Wreaths, standing sprays and other pieces can be sent by family members or close friends. 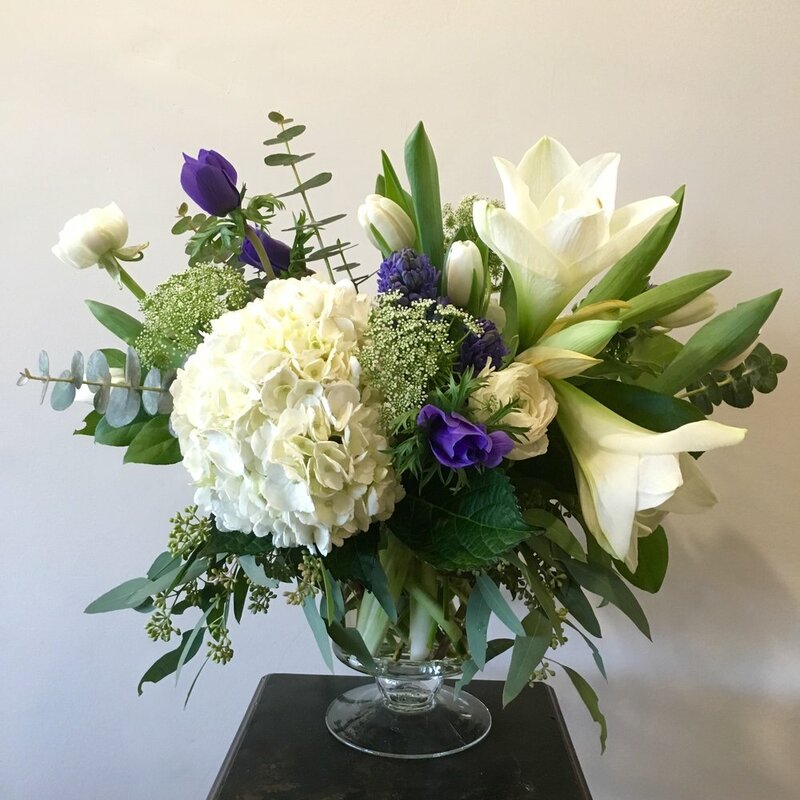 They are also placed by the funeral director or the florist, and can also include a ribbon honoring the loved one's relationship to the giver.